Happy Halloween bakers! As many of you may know – Halloween is my absolute favorite holiday and every October since I’ve moved to London, I feel a bit empty inside. The Brits don’t really celebrate Halloween the way the Americans do, so I find myself absolutely jealous at everyone’s amazing costumes and terrifying festivities. 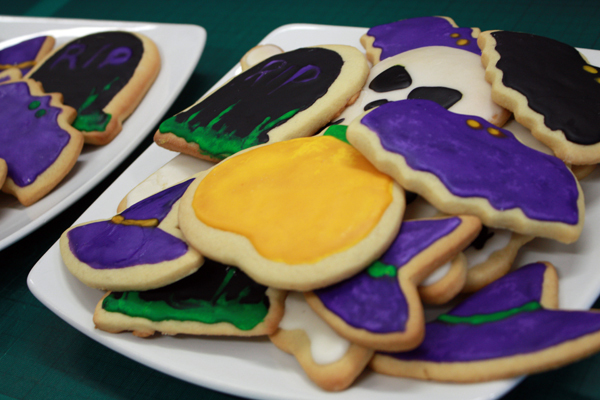 Last night I decided to do a bit of late-night baking and rushed home from work to make some sugar cookies. 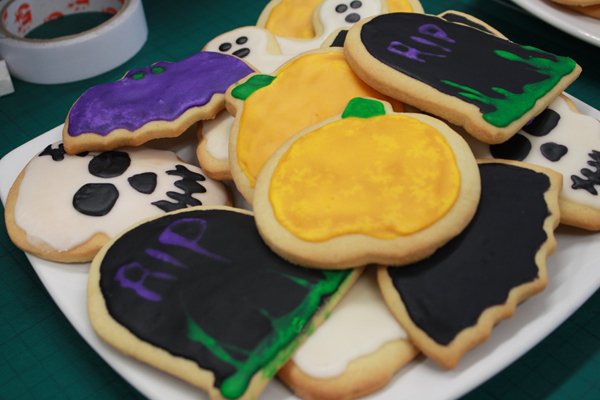 Ben and I worked late into the night to decorate these ghoulish treats for my colleagues at the office. I reverted back to my old recipe of icing sugar + milk + coloring for the icing and painted it on with a brush. In other news, I’m heading back across the Atlantic tomorrow to visit my family for a bit before heading over to Chicago to work from our company’s other office for a week. I’ll be back in a couple of weeks!